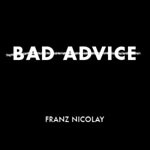 Five outtakes from the “Do The Struggle” sessions, stomatology available exclusively at franznicolay.bandcamp.com. Engineered & mixed by Alap Momin at Cannon Found Soundation and deadverse studios, this Union City, NJ. Additional engineering and editing by James Frazee at Aubergine. Mastered by Jamal Ruhe at West West Side. Cover art by Ariana Nicolay.